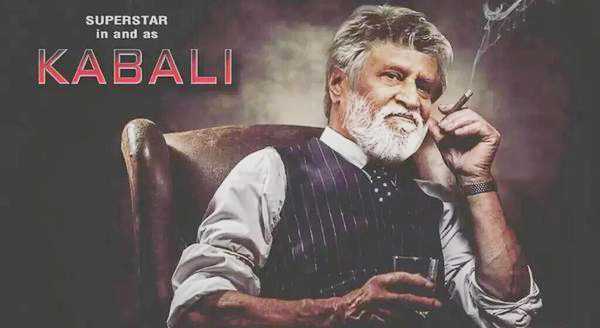 Superstar Rajnikanth’s new movie Kabali is set to roll on Lord Ganesha’s birthday, an auspicious Indian festival, on September 17. The film unit has commenced erecting sets to meet the requirements of a revamped shooting schedule. Earlier, the team had scheduled the shooting to be predominantly in Malaysia while that in India was only for a short stint. However, now a unit source confirmed to IANS that two grand and massive sets are being constructed in Adityaram studios as well as EVP Park studios and the shooting schedule in Malaysia will be significantly shortened with most of the shooting being done in the Chennai studios. In addition to the South Indian superstar, Kalairasan, Radhika Apte, Prakash Raj, Attakathi Dinesh, Nassar, John Vijay and Dhansika are expected to essay important roles in Kabali. Pa Ranjith will be donning the director’s role. Produced by Kalaipuli S Thanu, Kabali will feature Rajinikanth in the role of an underworld don, a character purportedly inspired from a real don from the Mylapore area in Chennai. However, according to indiaglitz, with just a week before the commencement of shooting, sources have seen images of Rajinikanth in the get-up of a Malaysian policeman which has triggered speculations on his role in the movie again. According to iluvcinema, the photo shoot for the film is going on at a brisk pace and this cop-image of Rajinikanth does little to soothe the highly-excited fans of the superstar who are eagerly waiting to see how their idol is going to charm them with his unfailing unique style. Sources have revealed that it is not clear if the Malaysian cop’s role is full-fledged one or will be used only for some critical scenes in the don-inspired ‘talk-of-the-town’ movie. iluvcinema also reports that the venue of Kabali shooting will be the same as that of Vijay-starrer film, Jilla. The movie makers are expected to commence the shooting at the Ponniyamman Temple followed by the pooja in the Pillayar Temple present in the AVM studio premises.